I have over 20 years professional and voluntary experience in nature conservation and a lifetime spent exploring and observing nature. Qualifications include a degree in Geography and MSc in Rural Resource Management. I also hold the nationally recognised Walking Group Leader Award and have a current emergency First Aid Certificate. I am a full member of the Mountain Leader Training Association. With thirteen years spent working for the Royal Society for the Protection of Birds at the South Stack nature reserve on Anglesey, I can offer superb knowledge of the area and guide customers to the best wildlife view points. I am experienced in organising and leading guided walks through my work as RSPB Visitor Officer. I moved to the island in 1997 and since then have walked extensively and immersed myself in the natural history of Anglesey. As a volunteer and employee I have worked overseas in nature conservation and eco-tourism. 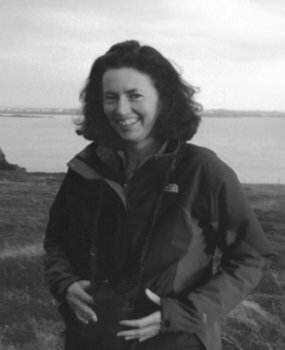 In the UK I have worked in Land Management research, environmental consultancy and as a University lecturer, specialising in recreation management, ecology and eco-tourism. I studied for my masters degree at Bangor University, where I started to explore the fantastic environment of North Wales. When I was researching my Msc thesis, I lived on Barsdsey Island (tiny island off the Llyn Peninsula) in the lighthouse, where I was captivated by the special wildlife, isolation and culture of Wales. While working for the RSPB at South Stack I lived on the cliff top on the edge of the nature reserve for 13 years and was able to experience the amazing nature of the place on a daily basis. I have spent the last 15 years walking Wales and have intimate knowledge of the area. I continue to explore with my young family which has added a new dimension to enjoying and appreciating nature. I look forward to meeting you on one of our walks.